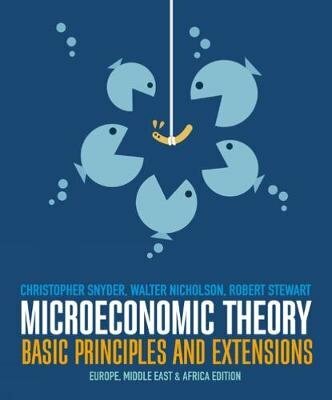 Now fully adapted for the Europe, Middle East & Africa market, Microeconomic Theory: Basic Principles and Extensions delivers cutting-edge treatment of microeconomics together with an ideal level of mathematical rigour. Aimed directly at upper level undergraduate students and graduate students, the book teaches users how to work directly with theoretical tools, real-world applications, and the latest developments within the study of microeconomics. It provides clear and accurate coverage of advanced microeconomic concepts and illustrates how the theory applies to practical situations. In addition, the text's helps to build student intuition by including a new two-tier end-of-chapter problem that begins with simple numerical/mathematical exercises followed by more analytical, theoretical, and complex problems.